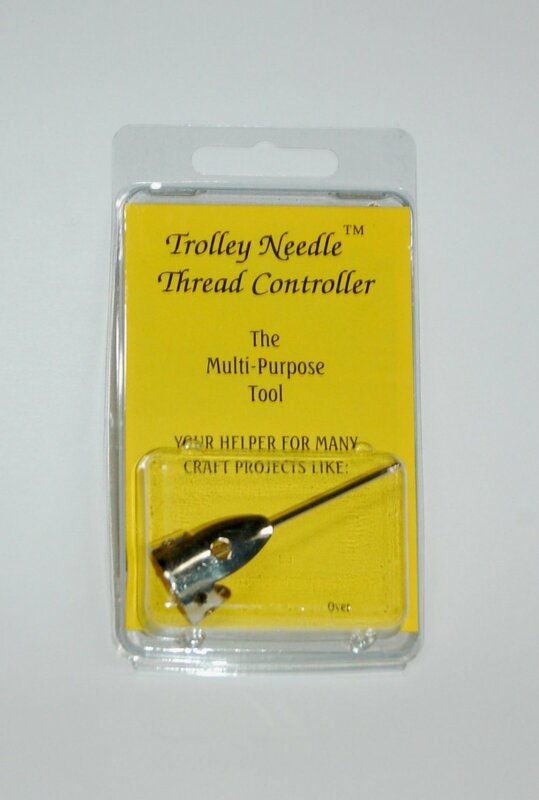 The trolley needle thread controller is the best tool to assist you in keeping your needlepoint stranded threads from twisting. The trolley thread controller is worn on your middle or pointer finger. It is easily adjustable for a comfortable fit. The thread controller is designed to be used in needlepoint to eliminate twisting and bending of your threads. It is easy light and easy to use. Needle threaders are in stock and can usually ship within one week.